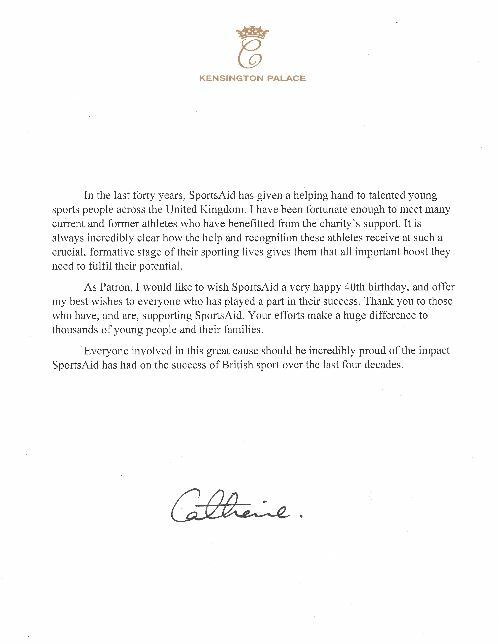 Her Royal Highness has spent time with young athletes supported by SportsAid, and previous beneficiaries of the charity’s help, at fundraising events, training days and performance workshops. For four decades, SportsAid has helped many of the country's biggest sporting household names at the critical early stages of their careers - long before they were widely known by the British public. Jessica Ennis-Hill, Mo Farah, Tom Daley, Bradley Wiggins, Tanni Grey-Thompson, Chris Hoy, Steve Redgrave and Ellie Simmonds are just a few previous recipients of SportsAid Awards. When SportsAid was founded in 1976, as part of a plan from the UK’s first Sports Minister Denis Howell, the charity was the country’s major source of funding for most of its top athletes as they looked to compete against usually better-resourced overseas rivals. SportsAid, originally known as the Sports Aid Foundation, supported many of Great Britain's athletes at the Montreal 1976 Olympic Games including Sharron Davies, David Wilkie and Duncan Goodhew. The SportsAid Award they received, as it still does today, helped contribute to covering a range of costs such as training and competition fees, accommodation, transportation, kit and nutrition. The money was raised by SportsAid from the private sector and the Football Pools back then. Since National Lottery funding arrived in 1997 to help Britain’s top athletes, SportsAid has focused solely on helping talented young athletes, the next generation coming through, and still seeks support from the private sector as well as the usual mix of other charitable fundraising sources. Each year, the athletes are nominated to SportsAid by the national governing bodies (NGBs) of more than 60 sports. The charity is supporting 1200 athletes, the vast majority aged 12 to 18, in 2016. Find out more about SportsAid.